In my last post I have briefly narrated the history of Terton Sherab Mebar, the first known treasure discoverer to have set foot in Bhutan. As promised I will narrate the history of his kudung(body) that seemed to have a life of its own and created history and mysteries greater than the living Terton himself. Because Terton Sherab Mebar went against the prophecy one too many times and compromised the whole divine mission he had been assigned, his mission on earth seemed to have been terminated prematurely. He died in his thirties leaving behind many unfinished works. He was supposed to visit Nub Tshonapatra seven times and discover treasures that will make our country rich in all times to come, but his first untimely attempt jeopardized everything. Terton Sherab Mebar was living in Pangpisa after that life-threatening mission to Nub Tshonapatra, when he called to attend a big event in Baylangdra, Wangdue. As usual he summoned the nine households in Pangpisa and asked them to bring him a stone that could fit in his palm. He was presented with a broken piece of stone. He asked if the stone was already in that shape or did the people break it into that shape. When he was told that the stone was a freshly broken piece he took it as a bad sign. He told his nine patrons that the signs told him that he might not return alive from Wangdue and therefore instructed them to bring his body back to Pangpisa. He squeezed the stone with his bare hands like it were wet clay and left his handprint on the stone as blessing to the people there. This stone with his handprint was one among many such stones he left behind from different occasions. In fact, every household in Pangpisa owned one each besides the six that were in the temple. One was a chunk of gold he took from Pasakha, during his failed mission of unearthing endless supply of gold, silver and salt. As foreseen, Terton Sherab Mebar died in Baylangdra, Wangude and message reached Pangpisa. Group of men went there to claim Lam’s kudung (body) as wished by lam himself but people in Baylangdra refused to give away. They said, it was lam’s wish to die in their village and therefore the body must rest there. Disappointed patrons of Pangpisa ever since spied on Baylangdra. It was during the harvest season that year that every able man from the village went on their annual alms seeking event. The temple in which the kudung was preserved was guarded by a lame gomchen who couldn’t go with the rest. Men from Pangpisa waited for this moment and without wasting any time they barged into the temple and tied the lone gomchen onto the pillar, and to keep him from starving they kept a huge pot of porridge at his reach to last through until the village returned. Thus, the kudung was stolen and brought to Pangpisa. 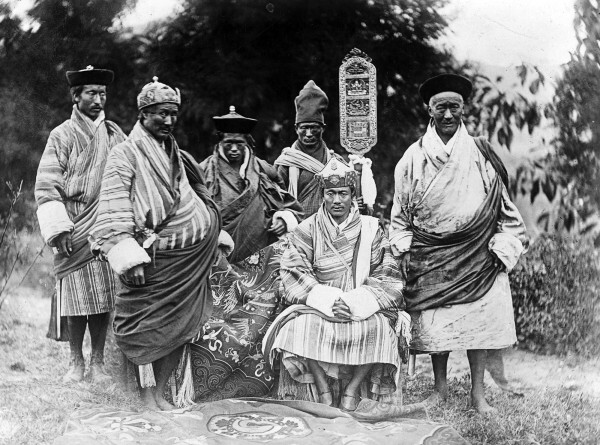 There is no record of what happened after this until centuries later after Zhabdrung’s era. It was during Tshulthrim Namgyel’s (Popularly known as Penlop Haap) reign as the Parob or Paro Penlop (governor of Paro), that he asked the people of Pangpisa to hand over the kudung to the center government in Paro for better preservation. Paro was the center of Western Region then. 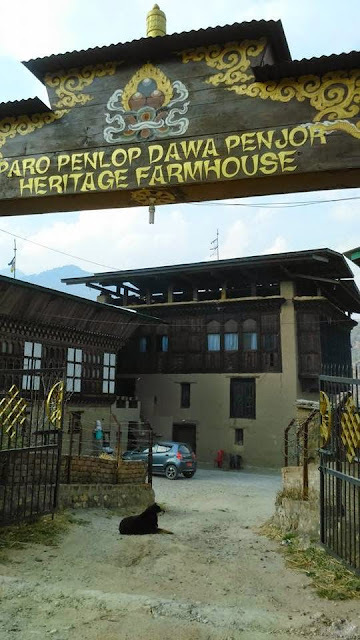 He explained to the people of Pangpisa that the Kudung was a national treasure and the there could not be a better place for the kudung than Paro Rinpung Dzong. It could be safe from disasters and also secured from Tibetan invaders. People of Pangpisa reluctantly consented with the intention of secretly stealing it back. The Kudung was stored in the Marchey of Paro Dzong, secured in a wooden box and sealed into the wall. No sooner did they give away the kudung, they began planning their moves to steal it back. They kept one of their local monks to spy and get access to the Marchey. The monk started chanting Dem, the prayer in worship of Jetsun Dema, from day one and made the entire Dzong believe that he was the best candidate to be the caretaker of Dema Lhakhang, the chamber in the Dzong dedicated to Jetsun Dema. That was their first move; they wanted to get access into the Dema Lhakhang because beneath it was the Marchey where their lam’s kudung was kept. Meanwhile, some men from Pangpisa worked with blacksmiths in Paro Woochu to prepared iron rods with hook on one, and rest of the men worked on creating a proxy of Lam’s kudung using clay. One day, when most elder monks were out of the Dzong for rituals, the team from Pangpisa sneaked into the Dzong with the proxy kudung and got straight into the Dema Lhakhang. They removed the floorings that were straight overhead the kudung and using the iron rods fished the box containing the kudung. Unfortunately they discovered the box was too big for the narrow gap between horizontal beams running across under the floor. According to their plan they were to lift the box into Dema Lhakhang, take out lam’s Kudung, replace it with the proxy and place back the box in the Marchey as if nothing had happened. But their plan failed when they couldn’t lift the box through the beams. They then broke open the box in midair and tried to take out the kudung but they found that even the kudung won’t fit through the gap, except for the head. When they ran out of ideas and time they decided to at least take something if not the whole Kudung, so they cut of head from the body and replaced it with head of the proxy kudung. The box was sealed again and placed back. For next many years, no one knew about this high profile break in, not until a fire disaster that razed down Paro Rinpung Dzong (Date to be confirmed), about which I couldn’t find any information yet. Penlop Haap was still in Power, and he was said to have jumped into the raging fire to save the kudung. Everyone thought he might have burned to death but he came out of the fire with the box without so much as a blister and without even burning a single strand of hair. When they opened the box to assess the kudung, they found the head of the kudung had turned into earth. This saddened the Penlop, but upon further inspection he found that the rest of the body was intact. Then he knew that something was done with the head. He furiously tried to detach the earthen head from the body but soon figured out that the earthen head had merged with the body. It’s said that the earthen head gradually turned into real head and smiled at the Penlop. He lived with much regrets for not being able to ask anything when the kudung came alive for that brief moment. Penlop Haap rebuilt Paro Rinpung Dzong and placed the kudung back in the Marchey of the new Dzong. However, he was told that the Dzong would be destroyed yet again in times to come. 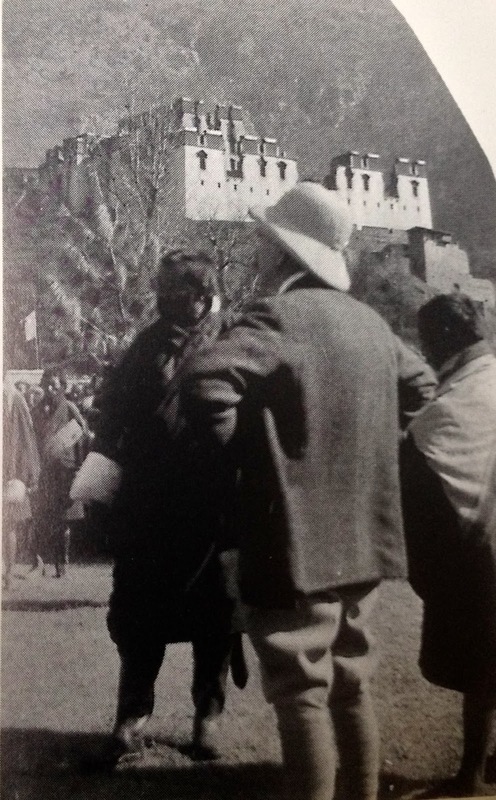 He therefore prayed to be reborn in Paro so that he could be the one to rebuild the Dzong again. 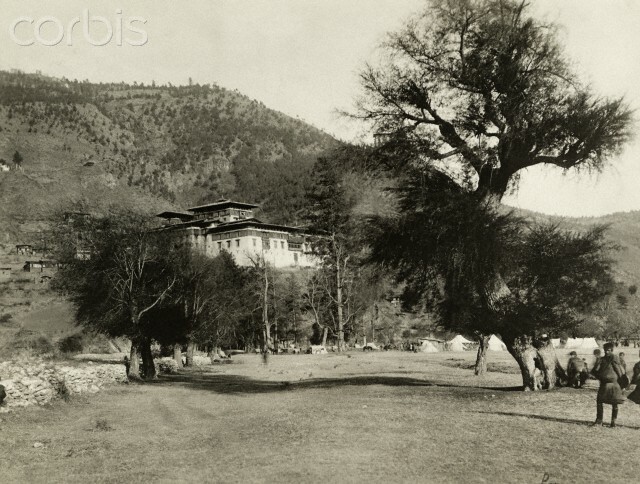 In 1907, when Paro Penlop Dawa Penjor was in power, Paro Rinpung Dzong suffered another major fire disaster. The penlop was said to have fainted twice, once when was told about fire and next then he reach the Dzong and knew the Kudung could not be salvaged. So that was the end of the long journey of Pangpi Lam’s Kudung, across almost 700 years. Penlop Dawa Penjor was believed to be the reincarnation of Penlop Haap, and it’s said that he always saw this coming. He had stored hundreds of strange balls stitched in animal hide, which looked like stone used in ancient weighing scale, in the fireproof basement of the Dzong. Later after the ashes cooled down, and when the entire officials were worried about the reconstruction, and even planned to send people to India and Tibet for donation, Penlop Dawa Penjor told them not to worry about funds. He sent his men to collect the stones covered in leather from the basement. Confused men thought the Penlop was badly shaken by the fire incident; nonetheless they presented hundreds of heavy balls to the penlop. He then cut open the leather covers and showed hundreds of football-sized balls of pure gold. He funded the entire reconstruction and most of the objects in the Dzong today were made of pure gold. When the Dzong was completed, Penlop Dawa Penjor approached the people of Pangpisa to bring the head of the head relic of kudung for the consecration ceremony of the new Dzong. He promised the people that it would be returned in three days. Penlop Dawa Penjor was known for his honesty and integrity and when he approached, the people consented. On the third day of the consecration ceremony birds hovered over the Dzong and made strange sounds, some birds fought overhead and dropped dead on the Dzong courtyard. Dawa Penjor immediately consulted his astrologer and found out that if he didn’t return the kudung’s head to Pangpisa there was threat to either his life or the safety of the Dzong. He returned the relic right away. It was later discovered that people of Pangpisa had been performing deadly religious rituals for the safe return of their most priced treasure ever since Penlop took it from them. The sacred head relic was sealed in a box by Paro Penlop and opened once a year for public display during a major ceremony. The sealing after the ceremony was soon done by Woochu Drungpa. Trongsa Penlop Jigme Namgyal upon hear that ordered the boxed to be sealed using his seal because he didn't like the idea of Woochu Drungpa putting his unholy hands on the precious National Treasure. Woochu Drungpa was the official responsible for punishing criminals and had his hand in many executions. A certain Zimpon Sangay carried Jigme Namgyal's seal and sealed the box, never to be opened again. It was only recently the seal was finally broken and the sacred head was displayed for public viewing. It was said that the seal on the box was always called "Sangay's Seal" and many thought was Buddha's seal (Sangay=Buddha). Later upon verification they figured out that Sangay was Trongsa Penlop's Zimpon Sangay who sealed the box on behalf of Trongsa Penlop Jigme Namgyal. The Scared head was on display on the day I visited Ugyen Guru Lhakhang in Pangpisa. I just look at it for the longest time and wondered what a journey it underwent across almost 800 years. Disclaimer: I need to straighten the Facts about the first fire incident in Paro Rinpung Dzong and the era of Penlop Haap. If you have details, please share with me. Thank you so much for bringing up this incredible story la sir. I am already so curious to visit Pangpisa and to get blessings from these relics. Great research work, keep it up Passu Sir. Once again, thoroughly moving. Well done, PaSsu. And now you look for some other sources discussing the same event and club it with your oral narrative to make it one highly researched work. Keep it up. I am proud of you, man. Wow...Just wow... I also visited Pangpisa and got blessings form the supernatural objects but never knew the story behind. Thank You so much for the information. This is indeed an incredible narration of the Terton. I did hear about the Kudung and the sacred head, but never knew story behind. I hope to make my trip to Ugyen Guru Lhakhang in Pangpisa, and pay my homage to the Terton. Thank you Passu to the story. Thanks for enriching me our rich oral story of our Bhutan.Trongsar Penlop Jigme Namgyal died in 1881 and Paro Rinpung was destroyed in 1905.It might be Sir Ugyen Wangchuk bec that time he was Trongsar Penlop and he might commanded sealing of skull relic of Terton Sherab Mebar.Or sealing might happen when Jigme Namgyal was alive before Paro Rinpung dzong was destroyed.It is unreliable to fully on oral story due to point miss or some points forgotten by elders due to their advance age. Coins have two sides and same here for given links about Kudung shows different story..